With seventeen programmable buttons, the Razer Naga 2012 mouse is elite for players. Ready to use out of the box to its potential is greatly enhanced by Razer Synapse 2.0 software that keeps all your settings in the Cloud. It combines speed, precision and good glide. But it is not suitable for all games. 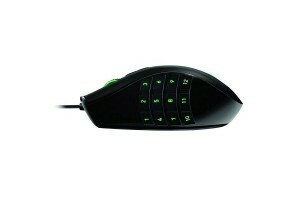 New edition of the special mouse MMO Razer Naga 2012 takes more or less the same design as the first name. Listening to criticism from players, professionals and amateurs, the brand snake decided to make some small changes to the initial competition. For example, two buttons that were previously on the edge of the left click button is now on the back of the mouse, which makes a prior less accessible. 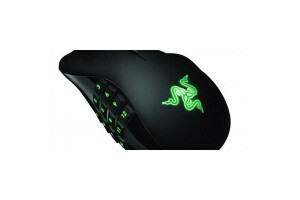 The Razer Naga 2012 mouse is designed for massively multiplayer online role-playing games. With seventeen programmable buttons (toothed wheel included), of which 12 are located on the left edge, the field mouse is only designed for right-handed players fans of World of Warcraft, Guild Wars 2 and others. The two buttons below the scroll wheel are not readily available; here we prefer those of the Naga first name, exit two years ago. With its long braided fabric USB cable, the sensor features a 2012 Naga ultrafast laser (5600 dpi) whose speed is adjustable on the fly, for increased accuracy in games. At ease on many surfaces, the mouse glides very well through thick Teflon feet. Icing on the cake, Razer provides a set of three interchangeable right side panels and weighted differently to improve grip. Razer has also had the good idea to dig the two main buttons so that your fingers naturally come to live there. 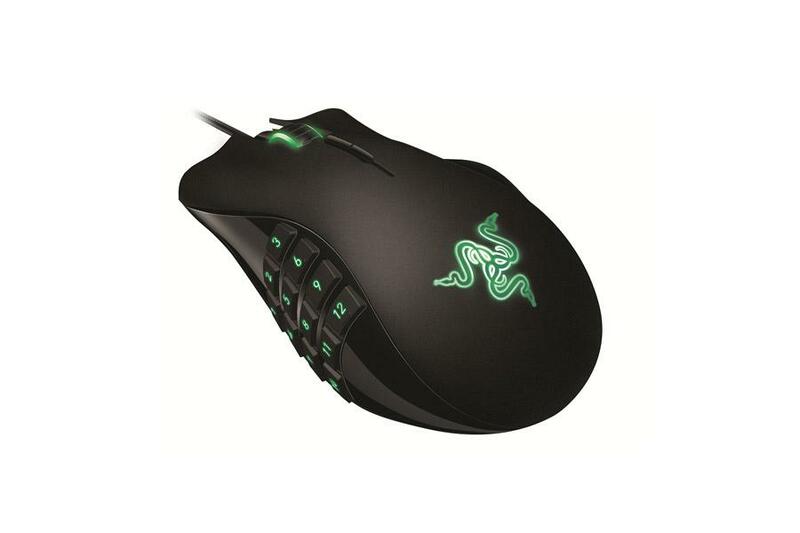 It is possible to use Razer Naga 2012 mouse right out of the box without installing any drivers. The laser sensor is at an average speed (1800 dpi) and the latter should also all the games. Need to fetch 5600 dpi, the cursor becomes uncontrollable quickly and accuracy suffers quickly. Twelve green illuminated buttons can be recognized as the keys “1 +” or numeric keypad. Simply push or pull a little switch under the mouse and voila. Thus, following spells or attacks that are in your interface, you have at least twelve fingers in time. And to get find the buttons without looking book Razer small pieces of silicone adhesive paste embossed on them. Finally, all the back of the mouse is covered with plastic to prevent micro asperities mouse escapes your hands. Namely the mouse is slightly warm. If it bothers you to use, we advise cutting lighting logo on the back of the mouse, using the software Synapse 2.0. With the driver Synapse 2.0, you can assign commands and key combinations very accurate at all mouse buttons. After downloading on the official website of Razer, you must open an account – free – to keep your settings in the Cloud from the manufacturer. So, if you connect the Naga on another PC than yours and you download Synapse, you instantly find all your settings and pre profiles in minutes. In case of loss of connection to the Internet, it is possible to save local profiles, and then export them to the cloud later. Small regret, the mouse is only one color backlight for the buttons (green), it is impossible to visually identify the active profile. In addition, to control all the possibilities offered by Synapse, you must be patient and go slowly. Razer Naga 2012 edition mouse is a good for MMO. The ability to customize the thickness of the right side of the mouse is a good idea. Nevertheless, we prefer the Naga Hex, more versatile and, most importantly, with a number of buttons than enough for all players not “octopus”. It remains relatively affordable price since its recommended is 80 euros, a price in the middle pointing device for player competition. This was all regarding the Razer Naga 2012 gaming mouse.